Find your way to great experiences. Take a day or a weekend and discover great places to explore and enjoy! Here are some of the best historic and cultural sites, parks, and recreational experiences available within the Canalway Corridor. Each itinerary includes options for cycling, paddling, walking, and canal tours, as well as best-bet dining options. Head to the water to discover how two mighty rivers shaped a region and opened a nation. See the second largest waterfall in New York and the marvel at the simple engineering genius that unlocked waterway travel west from Albany. Explore the interconnected waterways that shaped North America’s destiny. Start with a blast at Saratoga Battlefield and then head to the canal to complete your adventure. Take a treasure hunt through time in the Mohawk Valley, where you’ll find lots of hidden gems in museums, historic sites, villages, and quiet country roads. Discover a region where water has shaped transportation, agriculture, industry, and settlement for centuries. 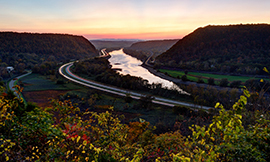 Find more trip planning information and outstanding images at Mohawk Valley Villages. 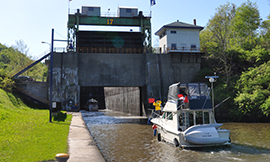 Head to Little Falls where big rocks, big locks, and lots of adventure await. Within a few miles, you can see the iconic Erie Canal, hike amidst incredible rock formations, cycle the Canalway Trail, shop for antiques, and treat yourself to a nice meal or an ice cream cone. Visit a vital frontier fort that shaped the course of American history. Then head to the water, where Mohawk River and Erie Canal merge. Nearby, see a lighthouse on the canal and watch one of the best sunsets in New York at Oneida Lake. 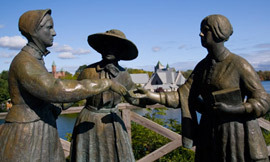 Follow the path where mules once trod and where the mighty Erie Canal gave rise to cities, towns, and industries in the 1800s. You’ll find treasures of the past, quiet paths alongside the old canal, and a region rich in canal heritage. 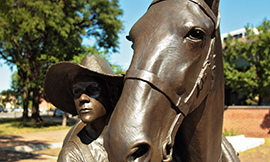 Visit the place that touched off the largest social movement in American History and discover the canal's role in spreading not only people and goods, but ideas and information. This trip will also lead you to some of the Finger Lakes many treasures. What do chicken wings, Theodore Roosevelt, Cheerios, and the Erie Canal have in common? Explore New York’s second largest city and you’ll quickly find out. 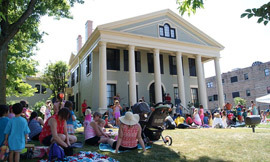 Visit the site where Theodore Roosevelt took the oath of office, then head to Buffalo's vibrant waterfront. Experience America’s greatest waterfall, where you can spend hours or days exploring the region’s beauty and history. Pair your trip to Niagara Falls with a visit to the Erie Canal at Lockport, where water powered innovation and industry. 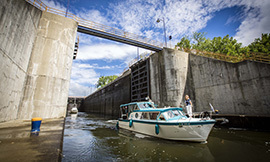 Erie Canalway itineraries were funded with support from Empire State Development's Market NY program, part of the State's Regional Economic Development Council awards.